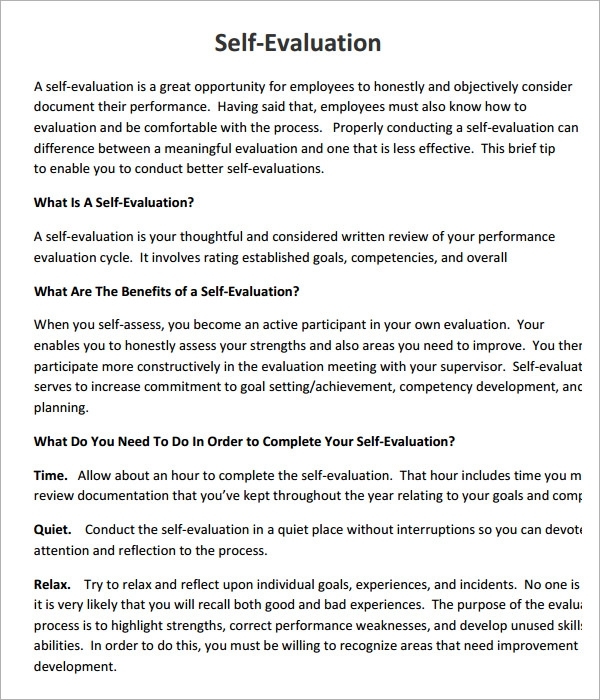 An employee self-evaluation is an important component of an employee’s performance review, in which the employees are given an opportunity to tell the employer what they did for the company and brag about their achievements, contributions and accomplishments. 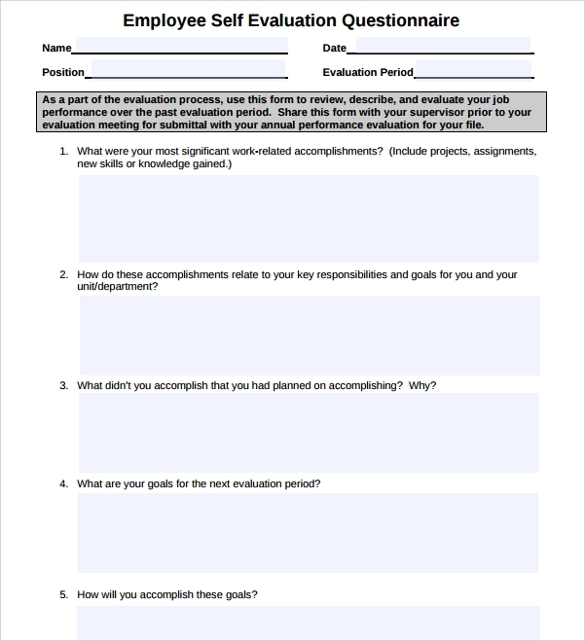 This self-evaluation is a perfect time when the employees can remind their boss about the goals they have met and the projects they have completed so far. 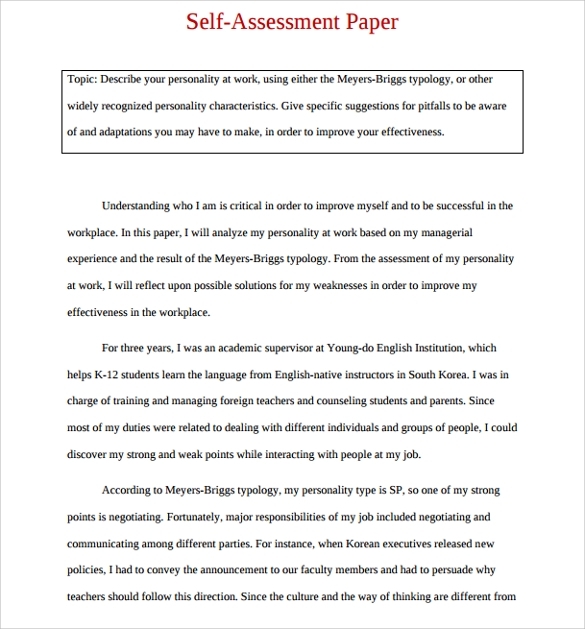 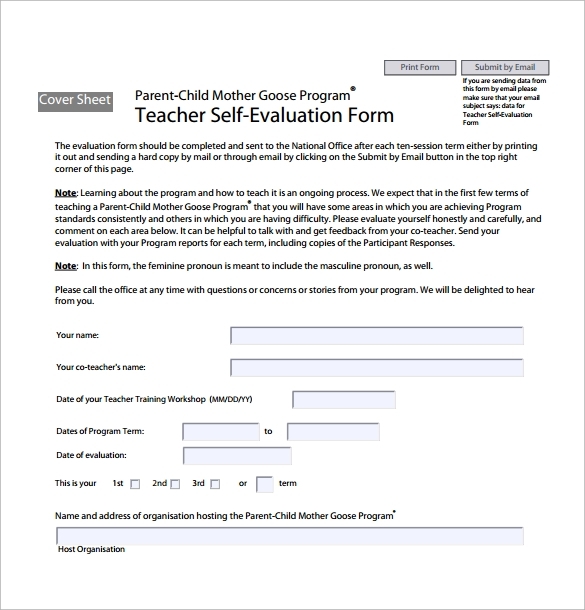 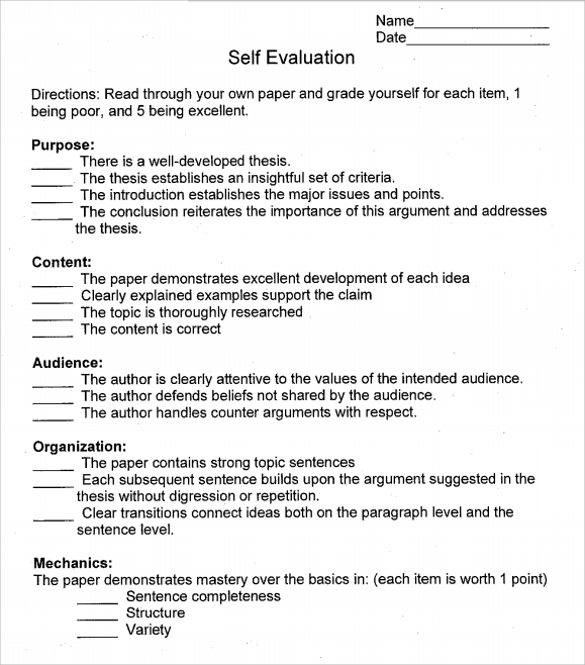 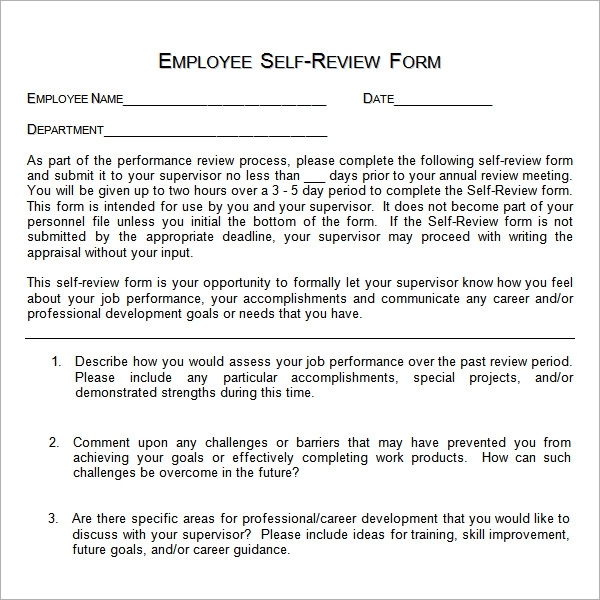 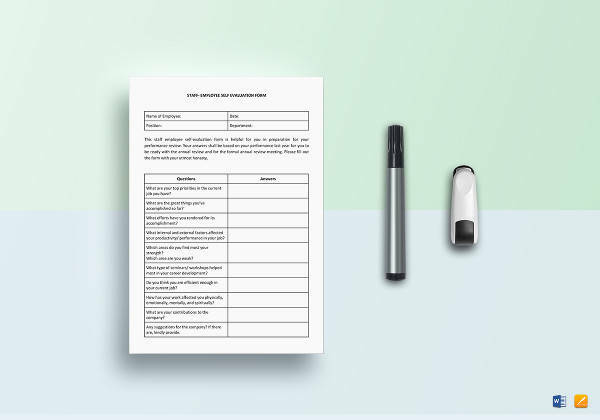 Most employees do not know how to write a self-evaluation, and an employee self-evaluation form template can come to your rescue at this most dreaded time. 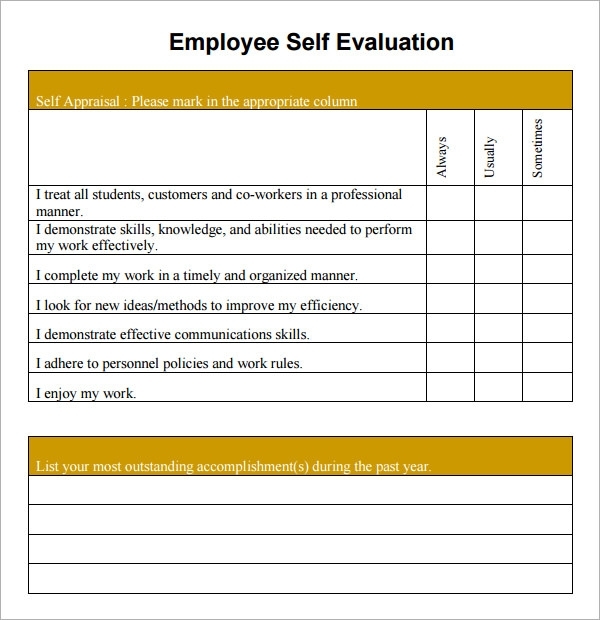 Some self evaluation templates are structured in the form of an organizational chart, which the employee can use to highlight his skills, achievements and contributions. 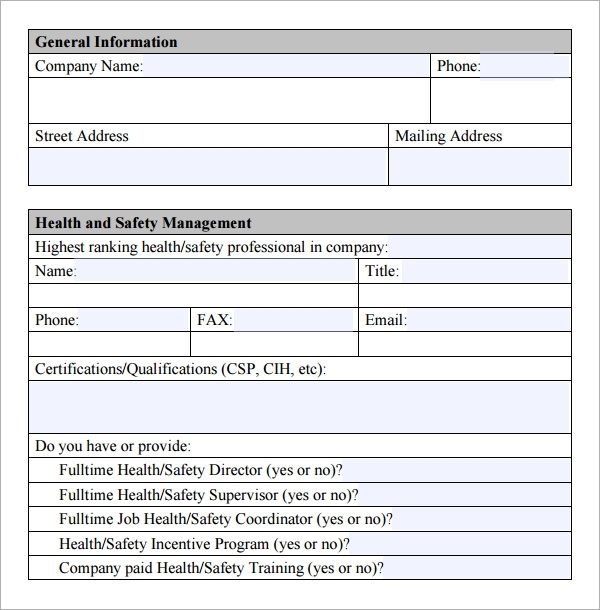 Usually laid in the form of a flowchart, these organizational charts contain circles or boxes in which the employee writes his success stories. 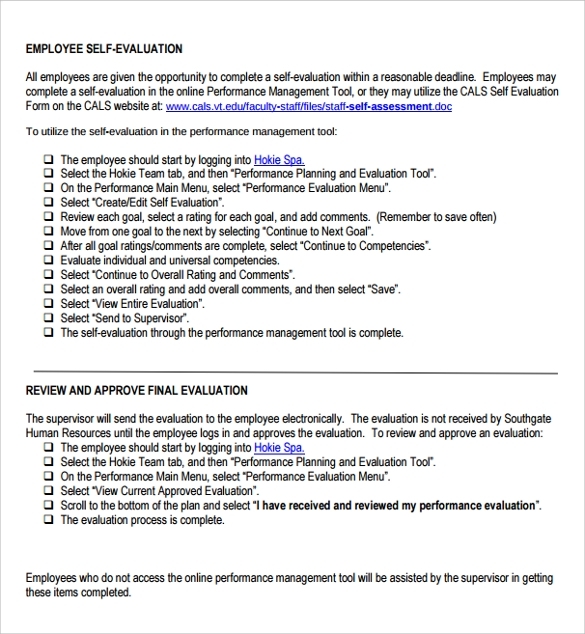 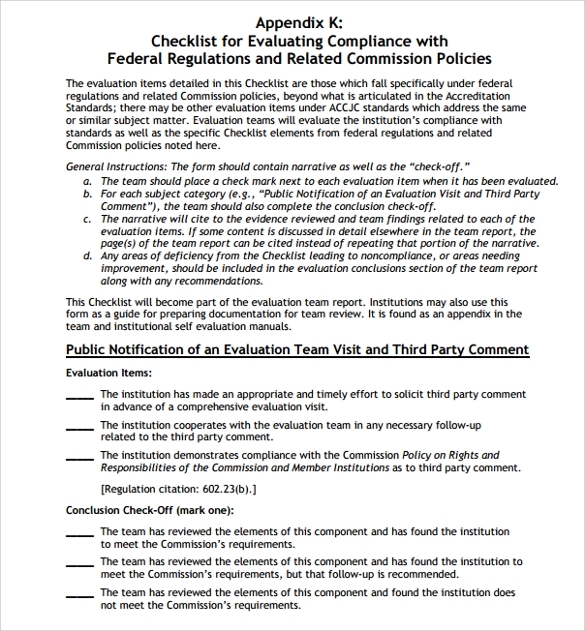 An Employee Evaluation Templates should have all the elements required to assess an employee’s performance and productivity. 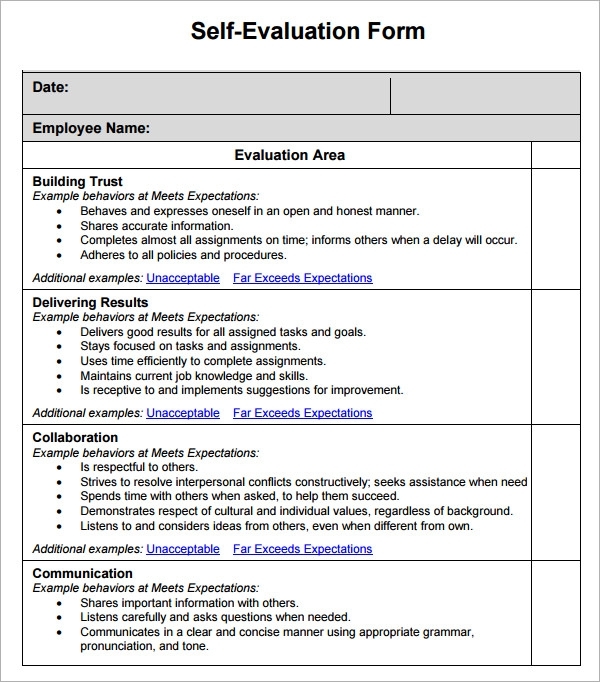 This template can be helpful in taking some very important decisions regarding your employee management. 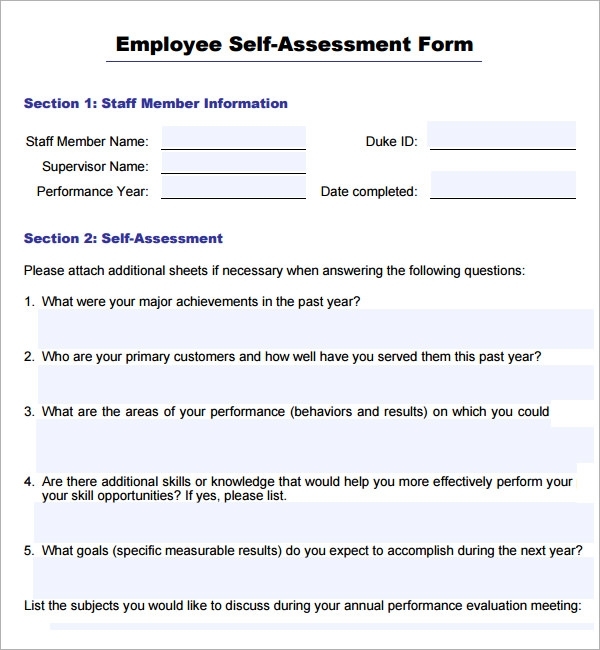 So, use a handy template to let your employees give a self evaluation, or get it designed by a professional.